by Nick Tylwal, Bam! Smack! Pow! Milestone Media was ahead of its time when it first launched in 1993. But if anything, its creators believe the brand and its storytelling are even more relevant today, so DC is helping to bring it back. Original Milestone founders Denys Cowan and Derek T. Dingle joined producer/director Reginald Hudlin at Comic-Con on Saturday morning to announce the return of Milestone characters like Static Shock, Icon and Hardware, who will exist on “Earth M” within the DC multiverse. The current plan calls for up to two titles set on that world annually published as hardcover graphic novels, along with possible mini-series and one-shots. While Cowan spoke of his pride in bringing new voices to the industry and vowed that process would continue, the new Milestone will also have “some ringers.” Namely, DC Entertainment Co-Publisher Jim Lee, who will draw a book written by Hudlin, and Chief Creative Officer Geoff Johns, who will write a book drawn by Cowan. 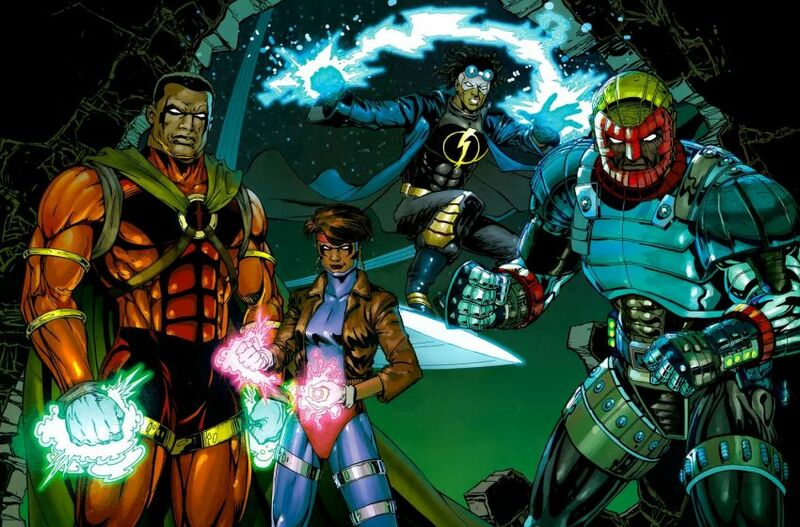 Hudlin mentioned plans for action figures and a Static Shock live-action digital series, and it was clear during the morning press conference that announced the return of Milestone that there is plenty of excitement throughout the DC talent roster. Dan Jurgens mentioned that he thought Icon was the coolest name ever for a super hero and wondered why he never thought of that, and Grant Morrison laughed when asked if there were any questions about his own upcoming work, saying he’d rather hear more about Milestone.